Detail of the sear from the right side of the gun. Note the small spring under the rear section. 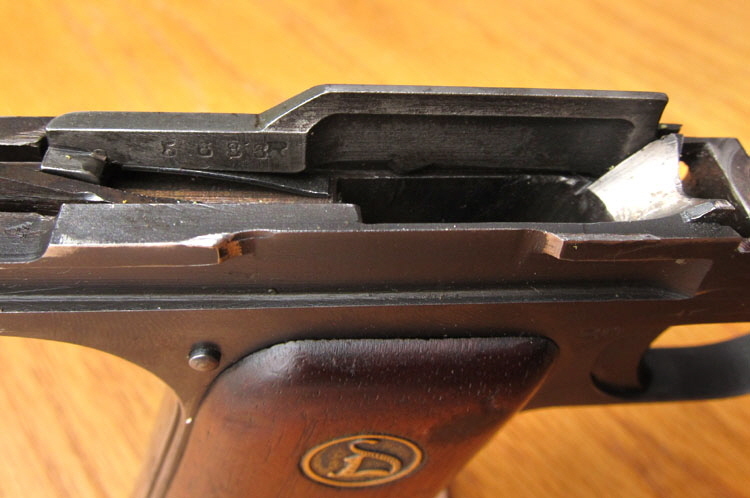 The last four digits of the gun’s serial number are stamped on the sear.